In recent times, the slip ring technology has advanced in leaps to cater to the changes with respect to the innovation and new technology being employed in the electrical application. 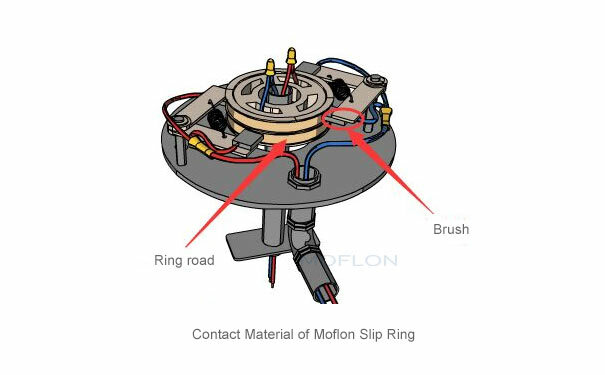 The traditional slip rings transmit data signals, but with new technology being introduced in the equipment, the data signals transmitted is quite low with the use of orthodox slip rings Thus, to meet the needs of modern equipment at large, use of newer slip rings with advanced technology becomes the last resort. Advantages of modern slip rings The modern slip rings have undergone some major changes to fit in the parameters of modern requirement. Such kind of slip rings features long life, low impurity, less friction and most importantly transmission stability. in a nutshell, the main reason due to which a high performance level is achieved, is the type of contact materials used. Types of contact materials Lately, there are three types of contact styles which are most prevalent that includes monofilament brushes, composite and fibre brushes. The monofilament and composite brushes require lubrication and regular maintenance. They are quite receptive to wear and tear during operations. There are several shortcomings of both the brushes, for an instance, the composite brush makes relatively loud electrical noises, while the monofilament brush does not meet the high-speed running requirements. New generation fibre brush The modern style of fibre brush eliminates the shortcomings of ordinary brushes. They inherit several advantages over the regularly used brushes. Such brushes make the low noise and do not require regular maintenance, which in turn makes them cost-effective. Further, they are heat resistant and do not allow the temperature to rise abnormally. One of the most basic shortcomings of the monofilament fiber brush is the absence of speed in its operation, but with the advent of new brushes, the speed of the operations is enhanced in manifolds and they also account for speedy transmissions of high-frequency signals such as Profibus, Ethernet, USB, and Interbus. 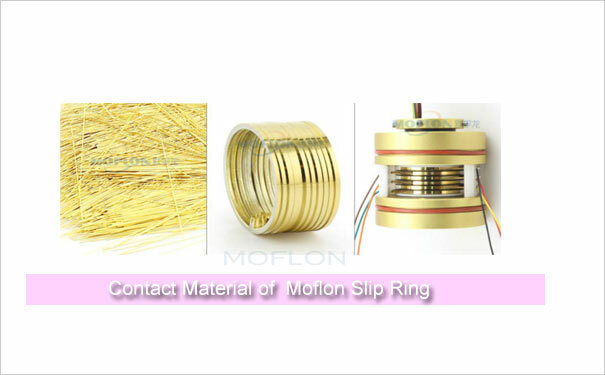 The performance of the slip rings depends on the choice of contact material. There are certain key factors which must be taken into consideration before choosing a slip ring contact material. The essential factors include wear and heat resistance capacity and electrical connectivity. It quite a given fact that the chosen contact materials should have following features which include - wear resistance, the slip rings work intermittently for a long period of time, thus it is quite imperative that the contact material must be long-lasting so that the slip ring in shape for a longer duration of time. Also, there are several other problems that arises if the contact material chosen is not resistant to wear and tear, such as poor conductivity and low transmission of signals, which is what slip are essentially all about. The contact material should be heat resistant and as mentioned earlier, it should arrest any unwanted rise in temperature. If the heat resistance element is missing, it (contact material) will melt at a rapid pace and the longevity will be reduced to a great extent. Lastly, the area of contact material should not be too large as it enhances the speed of conductivity and transmission of a signal.